A week ago, I had never heard of a sievert and didn’t know that bananas had radiation. XKCD’s Radiation Dose Chart helps me understand what was what. Update: To understand the power of this one chart, read “Why Fukushima made me stop worrying and love nuclear power“* by George Monbiot. 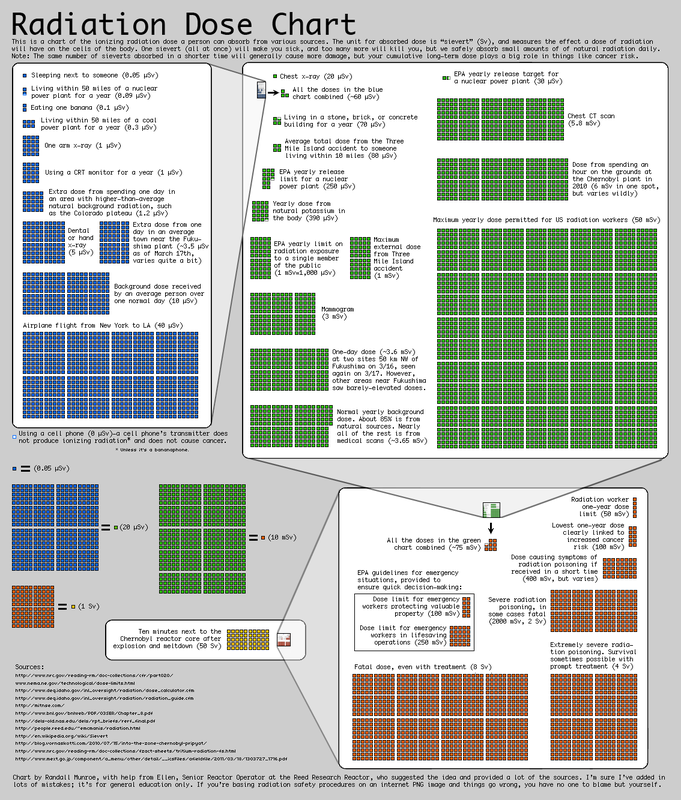 Credit: “Radiation Dose Chart” by XKCD. Used under a Creative Commons license. *Also published as “Going Critical” on monbiot.com.